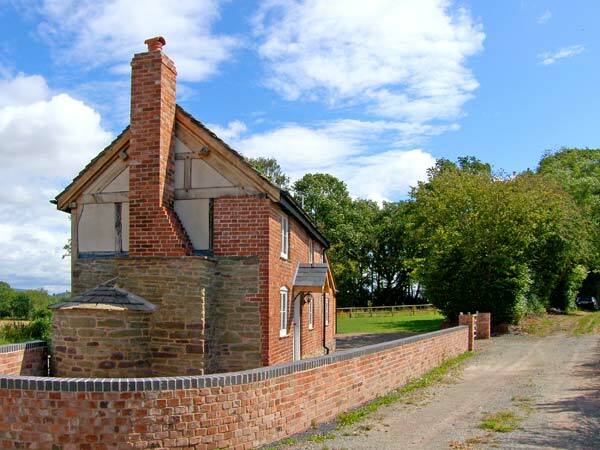 Point Cottage in PRESTON-ON-WYE - Sleeping up to four people in two bedrooms, this quality detached cottage is on the edge of Preston-on-Wye in Herefordshire. Two bedrooms: 1 x king-size double, 1 x twin. Ground floor bathroom with bath, shower over, basin and WC. Fitted kitchen. Dining room. Woodburner in sitting room. 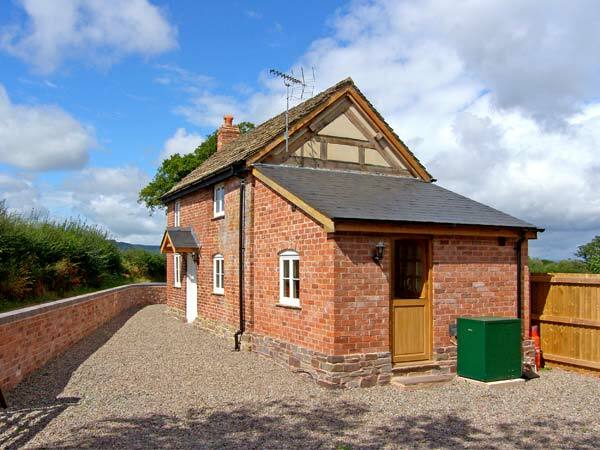 Sleeping up to four people in two bedrooms, this quality detached cottage is on the edge of Preston-on-Wye in Herefordshire. 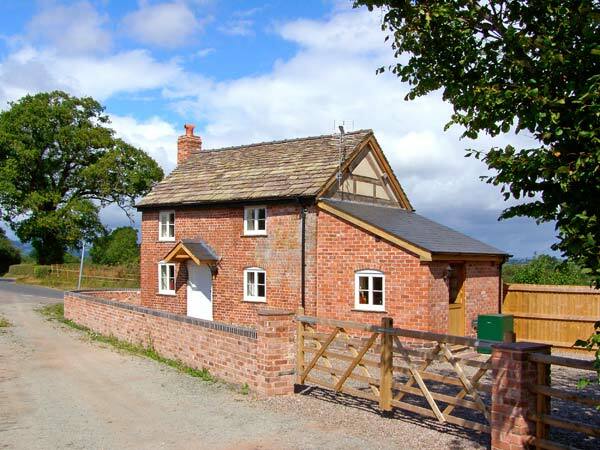 Point Cottage, a detached property on the outskirts of Preston-on-Wye, is a quality character cottage in a countryside location. 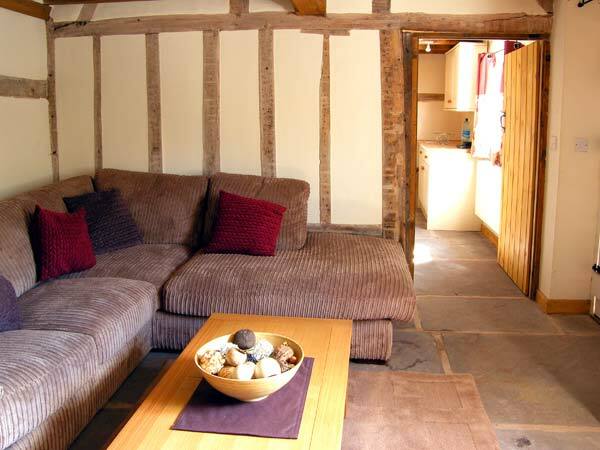 The two bedrooms a king-size double and a twin a are comfortable and welcoming. There is a family bathroom on the ground floor. 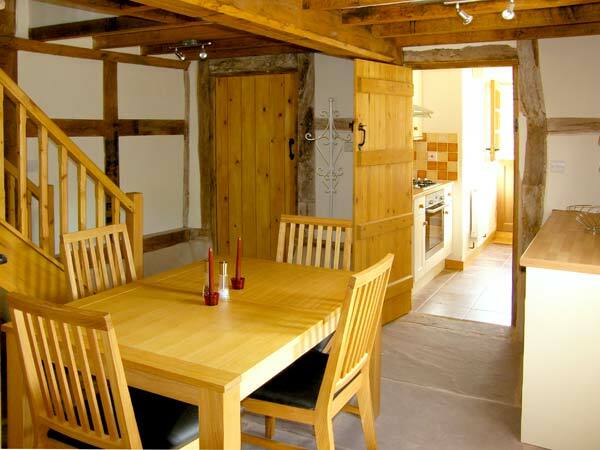 The sitting room has a woodburner, there is a dining room and a fitted kitchen, and the property benefits from exposed beams and wall timbers throughout. Outside there is off road parking for 3 cars, a graveled front area and an enclosed lawned garden. 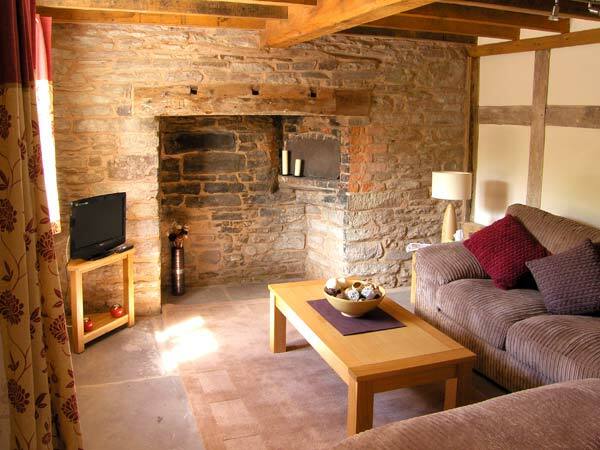 Hereford, Hay-on-Wye, the Black Mountains and the Brecon Beacons can all be enjoyed from this lovely property, making Point Cottage an ideal base for families, friends or couples. Oil central heating with woodburner in sitting room. 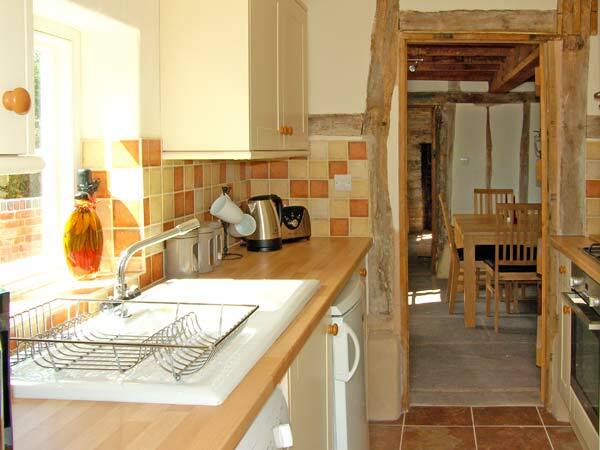 Electric oven, gas hob, microwave, fridge, washing machine, combi TV/DVD with Freeview, WiFi. All fuel and power inc. in rent. Bed linen and towels inc. in rent. Off road parking for 3 cars. Lockable bike storage. 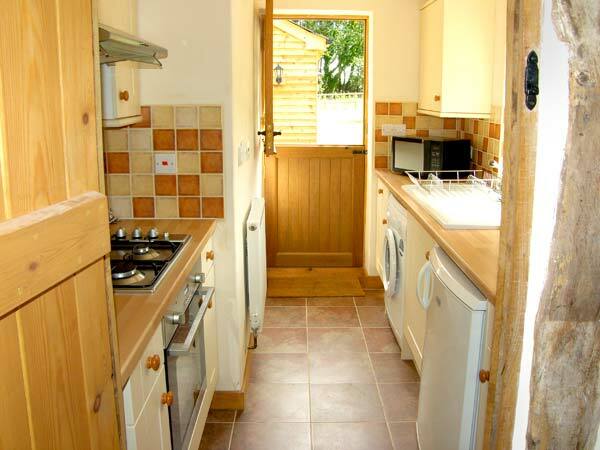 Spacious, enclosed lawned garden with furniture and BBQ. Two well-behaved pets welcome. Sorry, no smoking. Shop 4 miles, pub 5 mins walk. Property Feedback:A lovely little cottage with plenty of land for our two dogs, there were great walks, a very good pub just down the road and very friendly people. Region: Herefordshire offers visitors the chance to journey through lush green countryside, enjoying splendid black-and-white timbered villages, a magnificent cathedral city, a fairytale Georgian castle at Eastnor or books galore in famous Hay-on-Wye.